KitchenAid 5-Speed Blender Just $69.99! Down From $180! PLUS FREE Shipping! 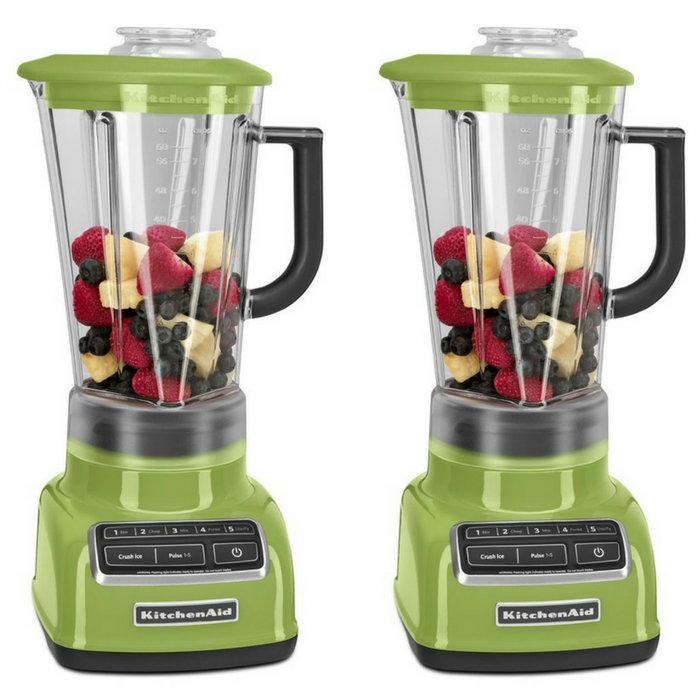 You are here: Home / Great Deals / Amazon Deals / KitchenAid 5-Speed Blender Just $69.99! Down From $180! PLUS FREE Shipping! Amazon has this KitchenAid 5-Speed Diamond Blender on sale for just $69.99 down from $179.99 PLUS FREE shipping when you apply the $8.28 extra coupon located below the price! The KitchenAid Diamond Blender, with exclusive diamond blending system, provides the ultimate blending performance to stir, chop, mix, puree and liquify, with pulse 1-5 settings and crush ice mode. A robust motor, unique one-piece, BPA-Free diamond pitcher, stainless steel blades and electronic controls combine to create a powerful vortex that is fast and thorough for exceptional blending results. Additionally, Intelli-Speed Motor Control senses contents and maintains optimal speed to power through all ingredients. The diamond blending system ensures that all ingredients blend together quickly and efficiently. The Intelli-Speed Motor Control senses contents and maintains optimal speed to power through all ingredients. Stir, chop, mix, puree or liquify. Pulse mode works with all speeds for staggered blending. The 60-oz. BPA-Free patented Diamond Pitcher design is shatter-, scratch- and stain-resistant and is dishwasher safe for easy cleanup. The die-cast metal base is sturdy and the Clean-Touch control panel wipes clean easily.